And then you remember that you live in the UK. It’s cold, politics are going down the drain and it’s probably raining. But hey ho, it reminds us to appreciate the little luxuries we still have in life, right? 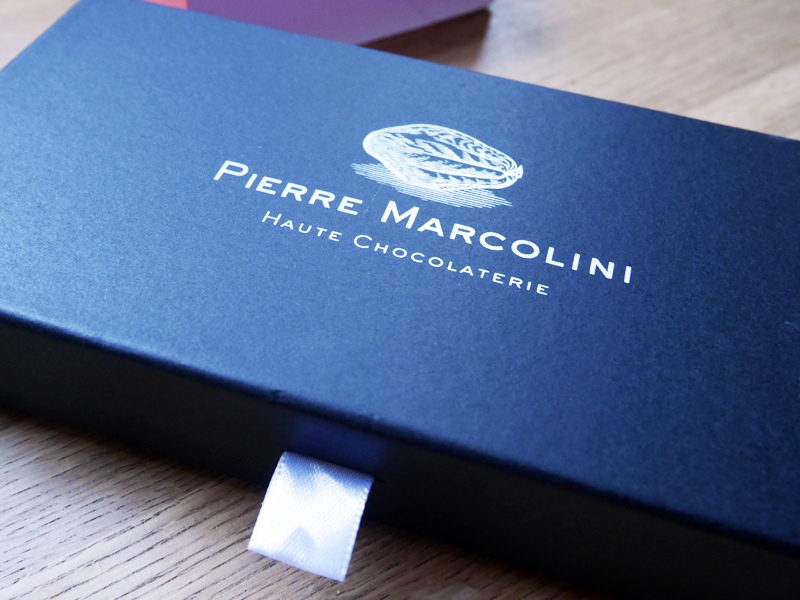 And one of these luxuries is indeed a box of Pierre Marcolini chocolates. My first encounter with this brand was years ago on a trip to Brussels. One of our friends living there was giving us a culinary (and ok, slightly absinthy) tour of the city and brought us to the Marcolini store there. This was my first taste of chocolate of this calibre. The shop looked like a jewellers; encased in large glass boxes was the spot-lit luxurious black packaging, and the row upon row of perfect jewel like chocolates, almost impossible to choose from. I ended up spending about 50 Euros on a box which seems ludicrous, but with more restraint than I ever thought I had, brought them home where I savoured them one by one over the course of a couple of weeks. Even though this was a good decade ago, I can still remember the taste of some of them. Money well spent. 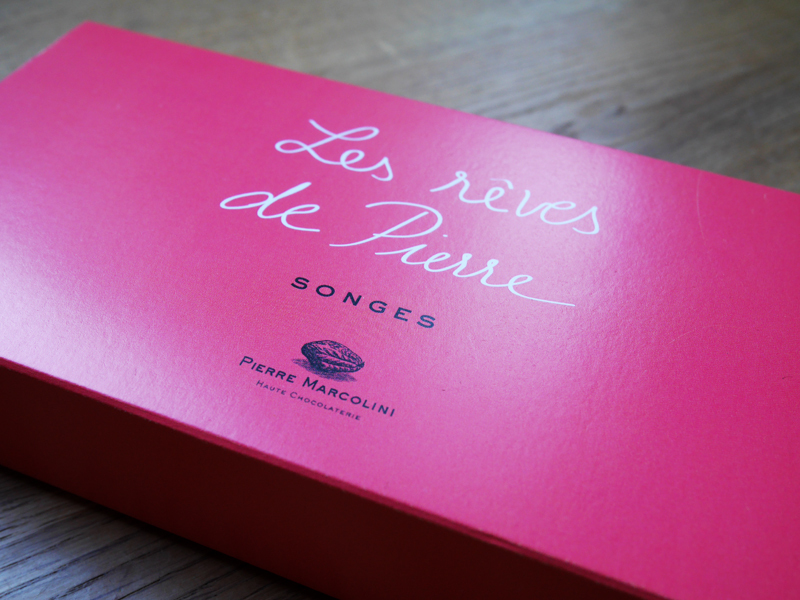 And here I have a box of the 2017 Summer collection; Les Reves de Pierre. Once you slip off the raspberry card wrap, the familiar matt black packaging with a white foiled logo is revealed. 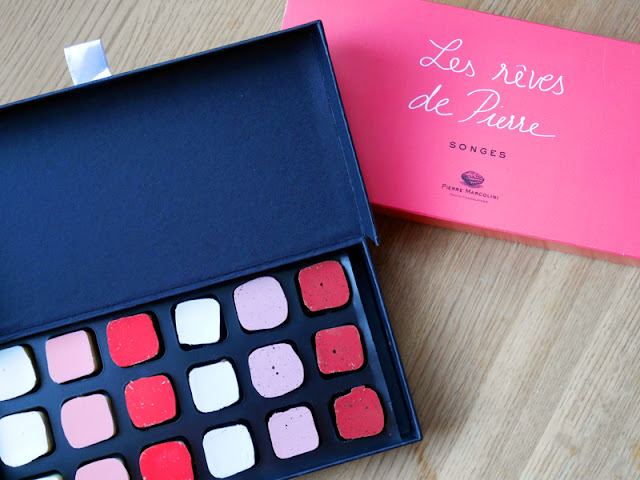 The silky ribbon tab helps you lift the lid to reveal a beautiful selection of small cubes, in whites, blush pinks and lipstick reds. I’m a sucker for all this, and get a thrill out of the whole product experience and the brand story these details help tell. You may mindlessly rip the packaging off a regular chocolate bar and chomp away (what did the Milky Bar Kid know, eh), but these are for savouring not scoffing. These may be small but they really pack a punch. Unquestionable raspberry pings right through and its sweetness contrasted with fine dark chocolate and the most delicate quinoa praline, giving a light crunch. The textural contrast is lovely. Mouth-feel is a dreadful term, but this is what these chocolates are particularly successful for. 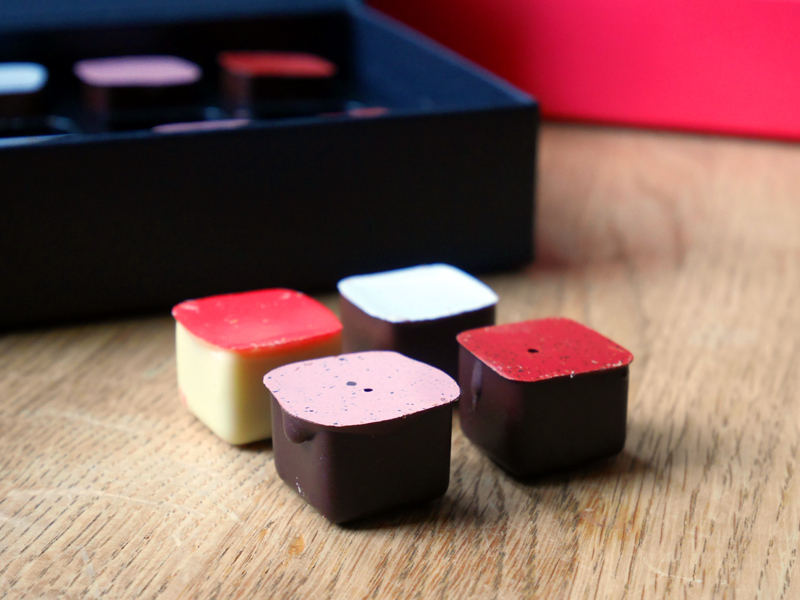 Crunchy sesame praline, with a slight savoury sits underneath a really zingy yuzu caramel, the citrus is vibrant. 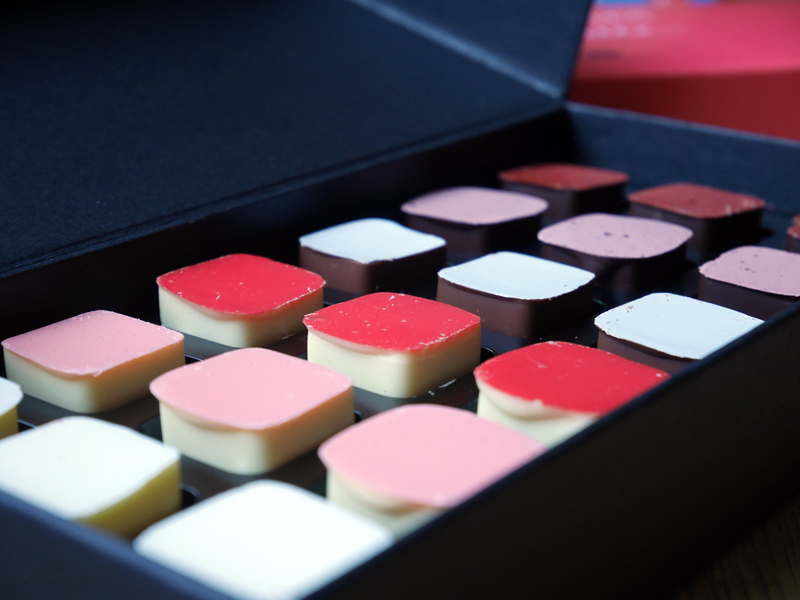 Across the whole box flavours are bold, unusual and intense but always balanced and exciting. I love them all as I expected to. At £19 for a box of 18 or £35 for 36 pieces, they are at the top end but for a treat to yourself or a gift, I couldn’t think of anything more indulgent. If you are passing one of their stores you can also experience their Esquimau choc ice bars where you can make-you-own bar, choosing from a collection of toppings and chocolate dips or a tub of their ice cream. Flavours include Matcha Tea Frisson; a matcha tea ice cream with yuzu coulis and candied orange or Rose Pistachio Frisson; rose ice cream, raspberry coulis with Garrigues honey and toasted pistachios. Heaven. I received samples for review. Words and thoughts, as always, are my own.